Have you ever needed to find a history of human research ethics, whether for personal study or for use in professional development work with human research ethics committee members or researchers? Motivated perhaps by George Santayana’s often paraphrased ‘those who cannot remember the past are condemned to repeat it’, we at AHRECS have often needed to refer to the history of the emergence of ethics in human research but have found repeatedly that the readily available histories focus on international, European and (predominantly) United States events. Conventionally, they begin in the 18th century and recount a litany of unethical research and, apparently consequential, increases in regulation, whether in the form of revised and strengthened guidelines, additional review processes or even legislation. A typical pattern is to begin with Edward Jenner’s smallpox work in the late 18th century, Claude Bernard’s early 19th-century cautions about avoiding harm, Walter Reid’s yellow fever study in Havana in the early 1900s, the start of the Tuskegee syphilis study in the early 1930s, the Nuremberg experiments and the Code (and the mere lip-service paid to it in the US Army’s atomic energy studies in the 1950s) and, sometimes, the Japanese Unit 731 biological and chemical warfare studies in the 1940s. Then, in the 1960s, Henry Beecher’s New England Journal of Medicine article, Maurice Papworth’s human guinea pigs article and book, what Martin Tolich referred to as the ‘unholy trinity’ of Stanley Milgram’s authority study, Laud Humphrey’s tearoom trade study and Philip Zimbardo’s Stanford prison experiment, and the Declaration of Helsinki. Then the 1970s brings disclosure and cessation of the Tuskegee syphilis study, the US National Research Act, the first common rule regulations, the President’s Commission and the Belmont Report. Sentinel events in the 1990s include the Pfizer Trovan study in Nigeria, the clinical trial deaths of Jesse Gelsinger and, since 2000, the death of Ellen Roche, the Northwick Park TGN 1412 study and the disclosure of the Guatemalan sexually transmitted disease studies, and controversy over Napoleon Chagnon’s Amazon bioprospecting and the US military’s Human Terrain System. There are of course other US and international events that could be added, but, in our experience the ones mentioned tend to recur most. There are a number of difficulties with this ‘schooled by scandal’ history. First, the implicit (and simplistic) assumption of causality between examples of unethical (as seen with the benefit of hindsight) research and the subsequent tightening of regulations, guidelines or standards. Second, the unrepresentative importance accorded to the “scandals” can conceal the fact that most human research at the time was ethically acceptable. Nonetheless, we accept that the so-called scandals are important at least in the fact that they reveal points of time at which the ethical and social acceptability of prevailing practices in human research was being questioned from new perspectives whose sources are historically and socially complex. Third, the assumption that regulations have evolved and that all changes in regulation have benefited both research and research participants. Finally, the most important difficulty is that the history is simply not representative of our part of the world. Australia has its own story to tell. It is likely that this story has been influenced at identifiable points by events in other parts of the world but it is equally important to recognise that those influences find an Australian expression. We at AHRECS think that we do need to know – and tell – our own story. Accordingly, there is, in our view sufficient material from Australia to constitute a local, well documented story that is as valuable for study and professional development purposes as any of the conventional international and American accounts. However, we are aware that stories of this kind are rarely complete. Accordingly, with this article, we are commencing the Research Ethics in Australia: A Story Project as a process of developing a more comprehensive Australian account which we propose to make available to AHRECS subscribers in formats that can be readily deployed for presentations or study resources. First-hand accounts if you were part of the story and are free to share that account#. # If you are free, legally and ethically, to do so, let us know if you have any personal accounts of any item. Don’t send us the account yet, we’ll seek ethics approval before asking you about your experience. A final version will be in the form of a resource, suitable for presentation, supported with links to the sources of the events and accompanied by notes and advice on its use. Consistent with our mission, we firmly encourage the use of these past events in a constructive manner – how knowledge and understanding of them can inform better design, review and conduct of human research. As you will be aware, we are delighted to have New Zealand colleagues among our consultants and know that that country has its own human research ethics story. Indeed, our colleagues, Martin Tolich and Barry Smith, have started telling the history of New Zealand research ethics. We are interested in developing a parallel New Zealand account and will invite contributions to this as well later on. Our proposed final resource will include both narrative and presentation formats that embed links to source materials about events, procedures or documents. 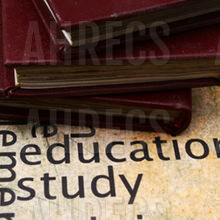 We will offer guidance about using the resource constructively, consistent with AHRECS’ mission, so that the underlying message is how to design, review and conduct human research well.